Michael Twomey Butchers Website is provided to you free of charge for your personal use subject to these Terms and Conditions. By using Michael Twomey Butchers Website, you agree to be bound by these Terms and Conditions. We may update these Terms and Conditions from time to time and any changes will be notified to you via the e-mail address provided by you on registration or via a suitable announcement on our website. To register with Michael Twomey Butchers you must be over eighteen years of age. • You must ensure that the details provided by you on registration or at any time are correct and complete. • You must inform us immediately of any changes to the information that you provided when registering by updating your personal details. When you register to use the Michael Twomey Butchers Site you will be asked to create a password. You must keep this password confidential and must not disclose it or share it with anyone. You will be responsible for all activities and orders that occur or are submitted under your password. If Michael Twomey Butchers has reason to believe that there is likely to be a breach of security or misuse of the Michael Twomey Butchers Site, we may require you to change your password or we may suspend your account. The services provided by the Michael Twomey Butchers Site do not include the provision of computer or other necessary equipment to access the site. To use the site you will require Internet connectivity and appropriate telecommunication links. We shall not be liable for any telephone or other costs that you may incur. Although Michael Twomey Butchers aims to offer you the best service possible, Michael Twomey Butchers makes no promise that the services at the Michael Twomey Butchers Website will meet your requirements. Michael Twomey Butchers cannot guarantee that the service will be fault free. 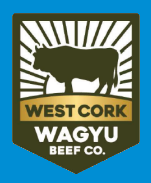 If a fault occurs in the service you should report details by email to info@mtwomeybutchers.ie where we will attempt to correct the fault as soon as we reasonably can. Your access to the Michael Twomey Butchers Site may be occasionally restricted to allow for repairs, maintenance or the introduction of new facilities or services. Michael Twomey Butchers will attempt to restore the service as soon as it reasonably can. Michael Twomey Butchers may suspend or cancel your registration immediately at our reasonable discretion or if you breach any of your obligations under these Terms and Conditions. You can cancel this agreement at any time by informing us in writing. If you do so, you must stop using the Michael Twomey Butchers Site. The suspension or cancellation of your registration and your right to use the Michael Twomey Butchers Site shall not affect either party’s rights or liabilities. The Michael Twomey Butchers Site is provided by Michael Twomey Butchers without any warranties or guarantees. You must bear the risks associated with the use of the Internet. As a convenience to Michael Twomey Butchers customers, the website includes links to other websites or material, which are beyond its control. Michael Twomey Butchers is not responsible for content on the Internet or World Wide Web pages external to their site. Most of our products are priced per kilogram. Prices displayed in our online shop are based on the Typical Weight of each product. We have to allow a certain amount of variation in the processing and pricing of an order. Only when your order is packed, will your payment be finalised – so if your order weighs more than the Typical Weight you pay for that weight exactly; likewise if your order weighs less than the Typical Weight, you pay less. Any upwards price adjustment has a limit of 10% of the product price. There is no limit on the downwards price adjustment. There will be no contract of any kind between you and us, unless and until, we actually dispatch the goods to you. Your order is an offer to buy from us. Nothing that we do or say will amount to any acceptance of that offer until we actually dispatch the goods to you. At any point up until then, we may decline to supply the goods to you without giving any reason. At the moment that the goods are dispatched (and not before), a contract will be made between you and us, and you will be charged for the goods. Delivery will be made to the address specified by you on the completed order form. We will not be liable if we fail to deliver your order due to circumstances beyond our control. You can pay by MasterCard or Visa Credit Card, or Debit Card. Your credit/debit card details will be encrypted to minimise the possibility of unauthorised access or disclosure. Authority for payment must be given at the time of placing your order. Your credit/debit card will not be charged until your order is ready for dispatch.